Hopefully this page will provide you with the answers you seek regarding our products. If not, please call us or use our Contact page and we'll respond directly. Do CDS use groove dimensions or ring dimensions? We can use either. Please specify which you use so we can send you the wear rings you want. We will always confirm back to you the sizes ordered so there is no misunderstanding. Why are some of my cotton phenolic rings darker than others? 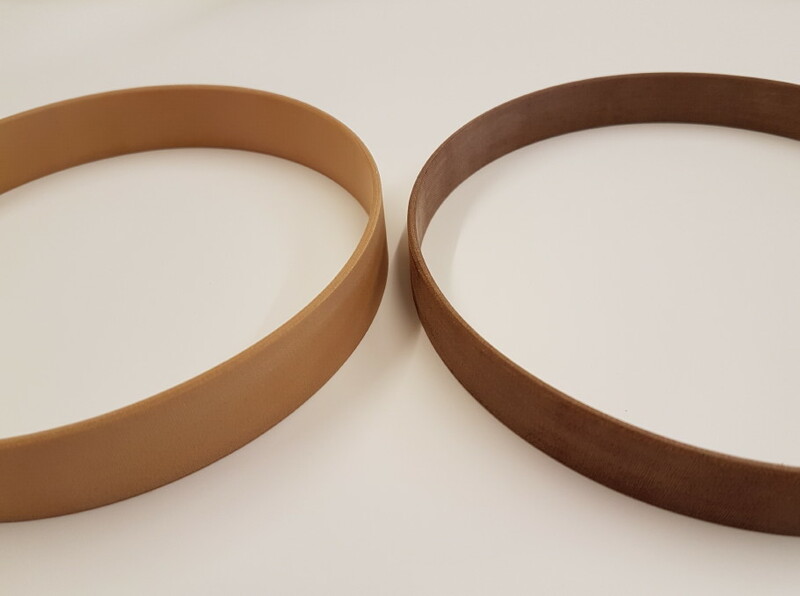 Our freshly manufactured phenolic wear rings are light beige, almost yellow in colour but after a matter of days or weeks they start to darken towards a dark oak or mahogany colour. Oxidation occurs naturally within the phenolic resin. A process called Ultraviolet Light Crosslinking occurs because the phenolic resins used in making wear rings are not light stable. The cotton fabric used in the composite, being organic, will darken over time. This is just a colour issue and doesn't affect the operational properties of the wear ring. How long are the rolls of bearing strip? We supply coiled strip in 5m and 10m lengths. Are there any joins in the 10m strip? No, the 10m strip is made in one continuous piece so there are no weak points. Do CDS use groove dimensions or strip dimensions? We can use either although Strip Dimensions seems to be more common. Please specify which you use so we can send you the strip you want. We will always confirm back to you the sizes ordered so there is no misunderstanding. How do I specify dimensions for tubes which I can machine myself? When you place your order, or request a quotation, you have a couple of options. You can either specify the dimensions you wish to machine to and we will provide tube(s) with a smaller inner diameter, larger outer diameter and longer than the desired finished article, or you can specify the size of the tube you require. Specials, in this instance, are any parts we have to order specifically. Usually Specials are not something we'd hold in stock since the materials and dimensions involved are often project specific but this is dependant on your needs, timescales and costs among other things. Normally we would request that you send engineering drawings with your required specifications and we would have the part/parts manufactured to those drawings.